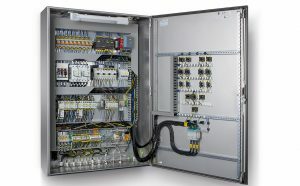 Time really is money when it comes to installation or maintenance in electrical control panels and switch cabinets. 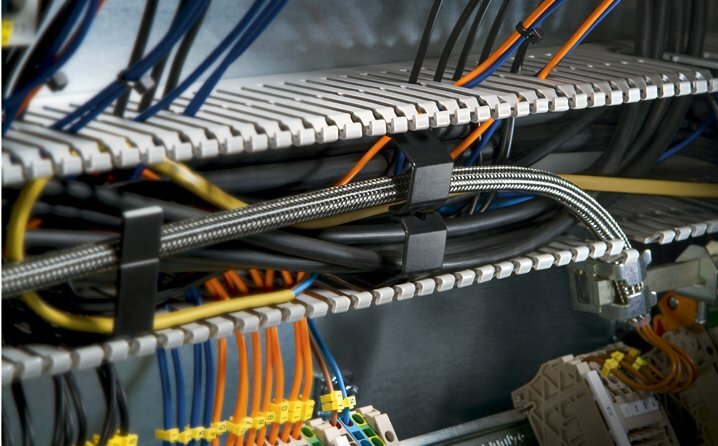 Whenever cables are chaotically arranged in wiring ducts, panel builders waste valuable time. It pays to be tidy in more ways than one. Read on to discover the advantages that the HelaDuct product range brings professional panel builders. 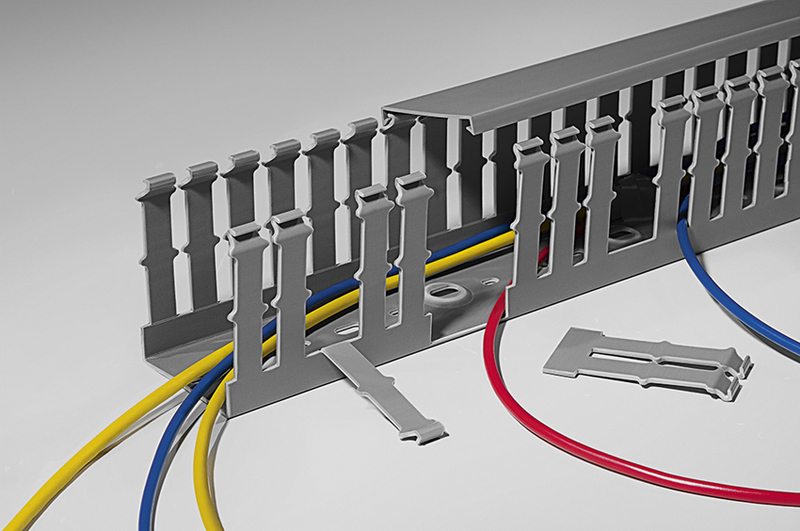 HellermannTyton’s HelaDuct product range offers a complete system for correctly fastening cables in electrical panels. It opens up many possibilities for engineers and installers to simplify and professionalise cable management in their switch cabinet. 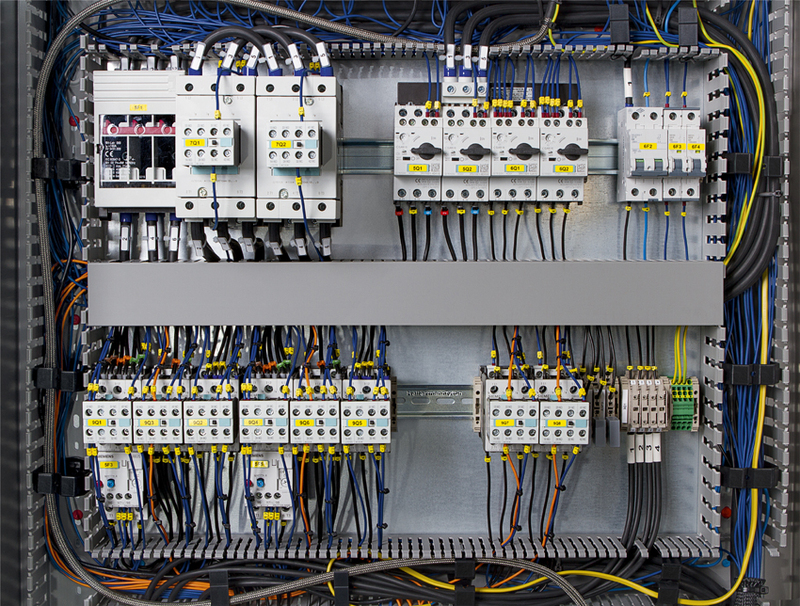 Click here for more information: More space for efficient electrical panel building – Cable management solutions made by HellermannTyton. 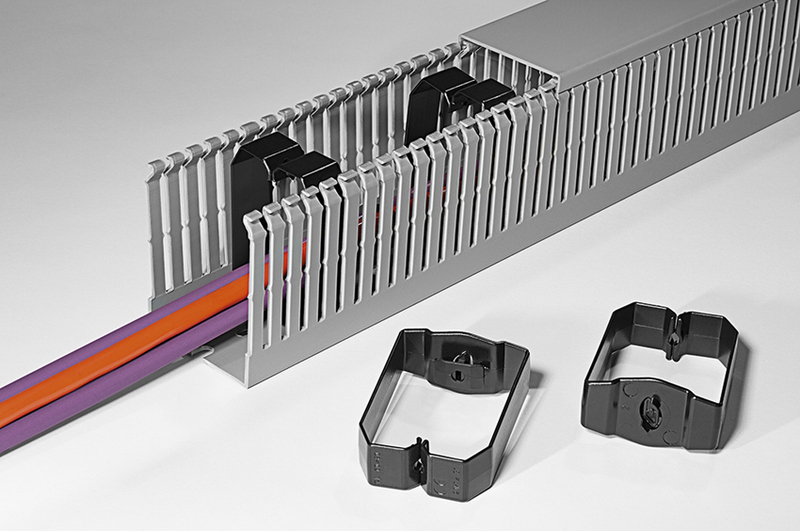 Flexible yet robust: HelaDuct wiring ducts are made of high-quality, rigid PVC. Space-saving cable installation: HellermannTyton offers a wide variety of HelaDuct wiring ducts in different widths and heights. These enable the panel builder to save space in many places. Available in widths ranging between 20 mm and 100 mm. Optimal installation of heavy cables: the HelaDuct range features ducts with two different widths (eg. T1-E-25X40 with 6 mm, or T1-F-150X100 with 12 mm) and different rib intervals to cater for heavy cables with larger diameters. Simple removal of ribs and wall segments: predetermined snap-off points in the wall sections facilitate precise cable routing between ribs and segments without damaging the cables. Injury-free work: HelaDuct wiring ducts have smooth, burr-free edges that protect electricians’ fingers and the cable insulation against damage and injury. 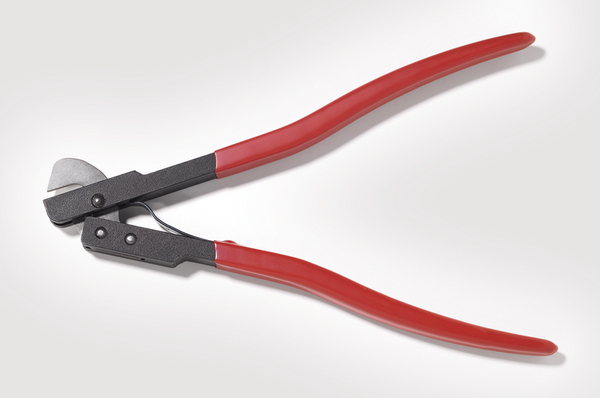 Safer installation: HTWD-BWR wire retainers can be installed before the cables are inserted. This prevents wiring from falling out of the ducts during installation. Fastening cables in wiring ducts under extreme conditions: HTWD-BWR wire retainers and HTWD-CTH components can be anchored mechanically to raised mounting points on the base of the wiring ducts, locking them securely into place. Unlike conventional fastening solutions using glue or rubber bands, HelaDuct mounts are durable and impervious to heat or cold. Installation of ducts on smooth surfaces regardless of mounting anchors: the base of the HelaDuct wiring ducts features recesses into which the mounts are secured. As a result, mounts and wire retainers do not prevent the flush, contiguous installation of the cable duct. Optimised maintenance: HelaDuct HTWD-NFWR and HTWD-WFWR wire retainers can be retrofitted in the duct. Screwless fastening of wiring ducts: HTWD-R4 and HTWD-R6 rivets enable vibration-proof, secure installation of wiring ducts in electrical panels. Appropriate HTWD-RT4 and HTWD-RT6 rivet tools are available for fast and easy insertion. Fastening cable ties in wiring ducts: the HTWD-CTH mount allows cable ties to be fixed to the duct without making any dents in the outer wall. 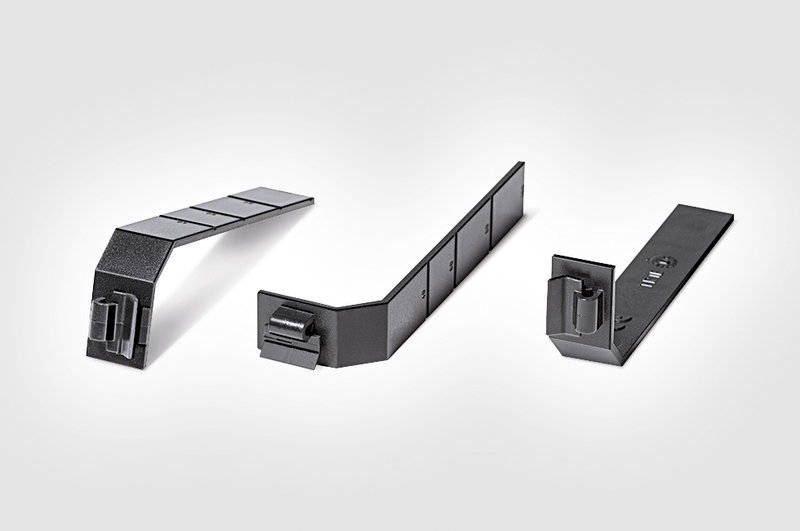 Flexible and space-saving cable bundling: the HelaDuct Flex flexible cable support help route cables and keep them tidy, especially in the door area. 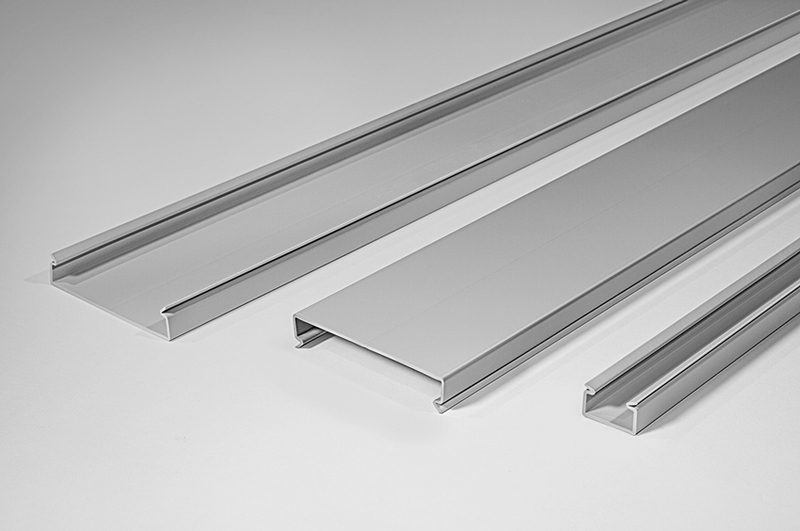 Efficient, flexible mounting of cable ducts on the support rail: Plastic mounting blocks are available for the easy installation of cable ducts on standard DIN rails. The ducts are fixed to the mounting blocks, which then snap onto the rails. Bundle, protect, and secure: protective tubing and spiral binding rounds off the HelaDuct product range and provide a variety of solutions for industrial applications. A selection of flexible protective tubing and spiral bindings can be found here. 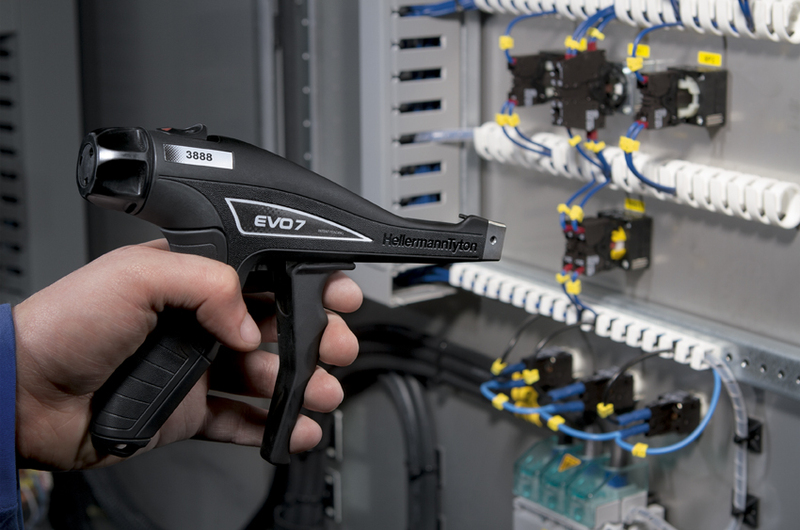 Keeping track in the long term: thermal printing, label or cable marker identification systems ensure the correct, durable identification of the wiring and components in electrical panels. Have you got any questions about cable ducts? Contact us here.